Several of our supporters have expressed interest in fundraising for NARF through social media. We thank you. Here are some quick instructions and ideas for using Facebook’s fundraiser feature. NARF has a Native led board, who identified these five priorities for the firm: preserve tribal existence; protect tribal natural resources; promote Native American human rights; hold governments accountable to Native Americans; and develop Indian law and educate the public about Indian rights, laws, and issues. The United States has broken more than 500 treaties that it has signed with Native Nations. 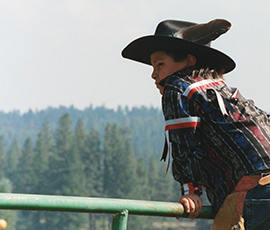 NARF is the oldest and largest nonprofit law firm dedicated to asserting and defending the rights of Indian tribes, organizations and individuals nationwide. Once your page is done, you’ll have the opportunity to invite people to give and share your fundraiser to your timeline with a brief message explaining why you want people to give. Don’t be afraid to follow up with the people you’ve asked to give who haven’t donated yet. We all get busy and need reminding sometimes. Know that 100% of the funds that you raise through Facebook come directly to NARF, but we may not receive the donor’s contact information and may not be able to thank your friends and family as much as they deserve, please let them know that we are grateful for all of the modern day warriors who are standing firm for justice! A very simple thank you message goes a long way.